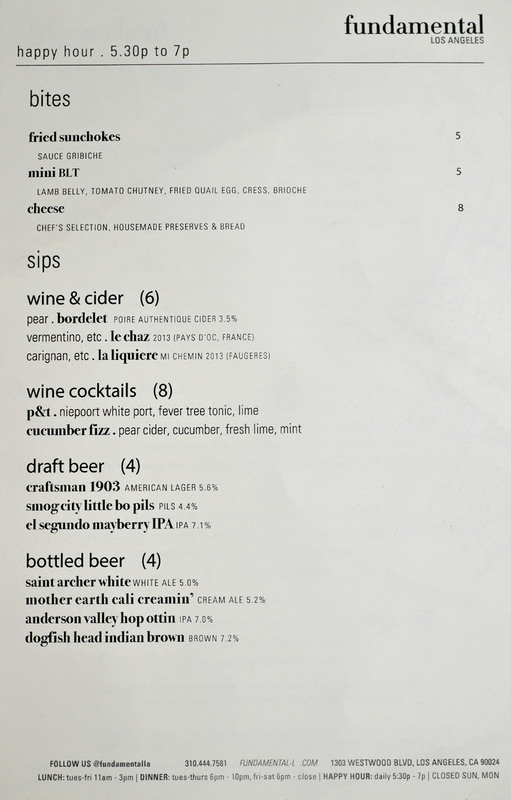 Tonight we pay a visit to fundamental LA, a place that's been on my to-try list for at least a couple of years now. The restaurant opened back in June 2011 in a somewhat desolate section of town as a lunch-only affair, with dinner added in February the following year. It's the work of longtime friends and SoCal natives Jeffrey Faust and Woogene Lee, who first met in second grade. Both attended and graduated from Berkeley's Haas School of Business and worked in management consulting afterward, Faust at KPMG and Lee at Bain. 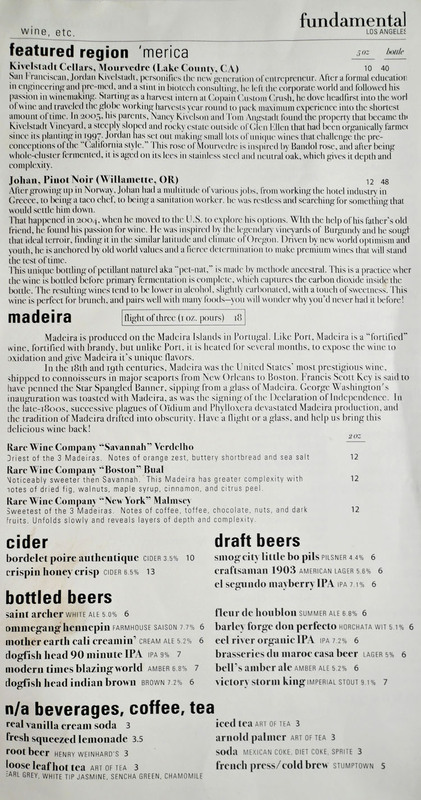 Prior to opening FLA, Lee also staged at Melisse, where he met David Morgan, who'd previously spent time at Sona, Coi, and Cyrus. Morgan was eventually brought on as opening chef and partner, but was out by 2012, replaced by a string of chefs including Lee himself. Currently, Executive Chef duties are handled by Philip Pretty, who took the reins in May 2014. About the Chef: For his part, Phil Pretty was born and raised in Southern California. 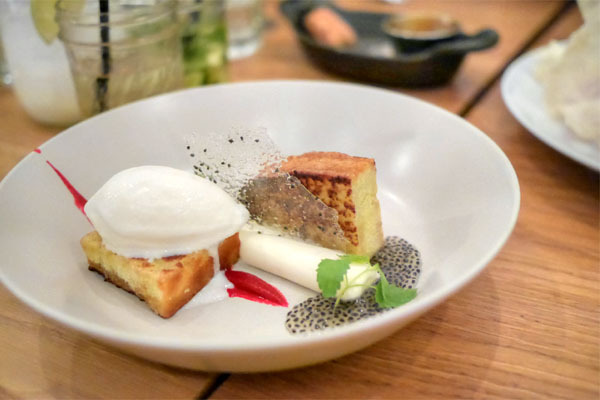 He eschewed culinary school, preferring the self-taught route, and first started making a name for himself in 2006, when he joined the Providence team as a line cook. 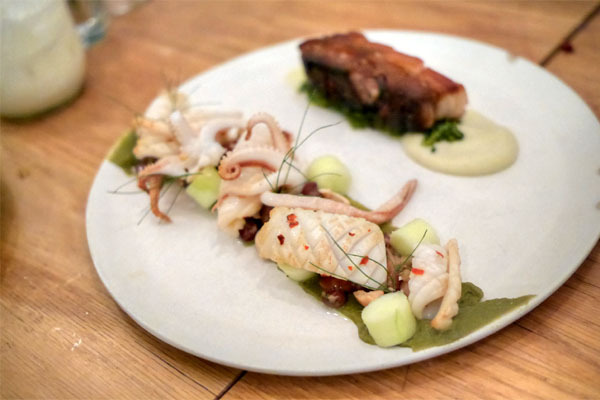 After a year, he moved over to David Myers' Sona, where he cooked under Kuniko Yagi for two years. 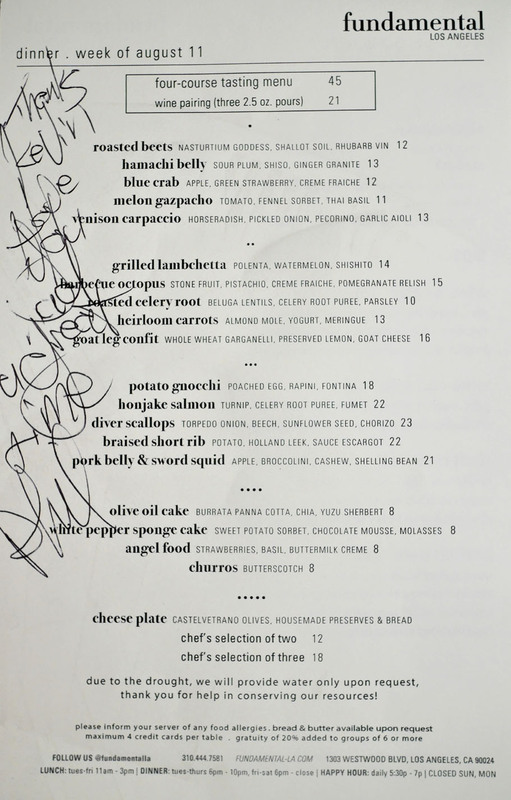 In 2009, Pretty took on the sous chef role at Joe Miller's eponymous Joe's in Venice, which was under Kris Tominaga's watch at the time. Then, in 2010, he transitioned to Gordon Ramsay at The London, where he became exec sous, under Anthony Keene. 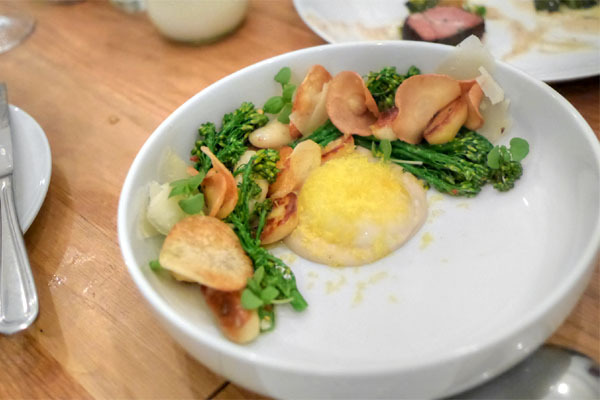 Finally, in 2012, Pretty landed his first Executive Chef position, taking the lead in the kitchen over at Axe in Venice (which closed at the end of 2014). 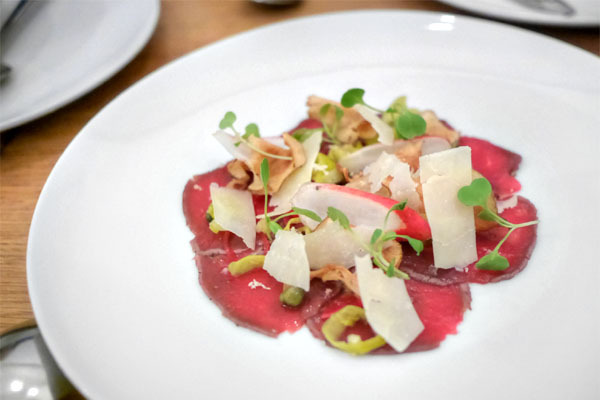 As for the menu, it's a seasonally-driven Californian affair at dinner (lunch comprises a much more casual selection of sandwiches and such), set in a four-course prix fixe format at $45 a head, plus $21 for wine (though all dishes are available à la carte as well). 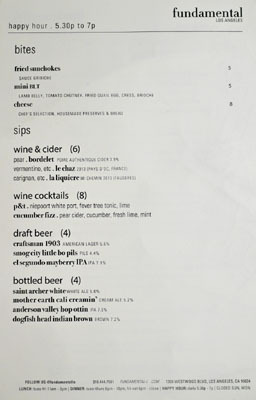 To drink, there's your requisite beer on tap and in the bottle, but the main focus here is wine, a small but well-curated list of mostly Old World selections chosen by General Manager and Wine Director Alicia Kemper. 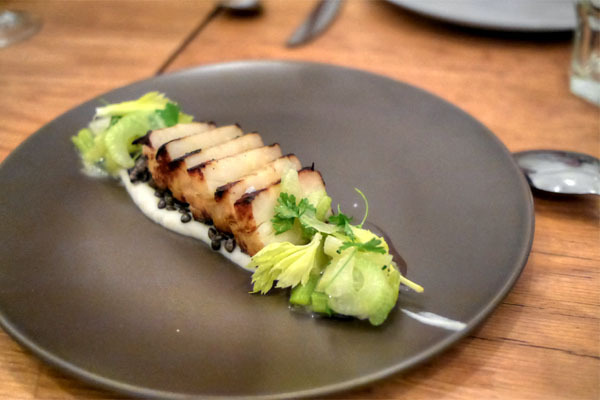 Kemper took over from Faust (also trained in wine) in March 2012, and also worked at Melisse under Brian Kalliel and at the vaunted Restaurant at Meadowood in Napa. 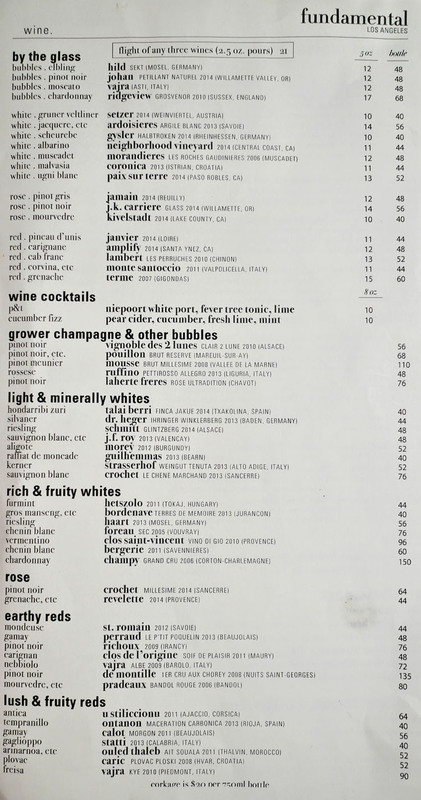 In addition to the wine list, she also manages FLA's Tippler Club, a monthly-delivering wine club. Click for larger versions. 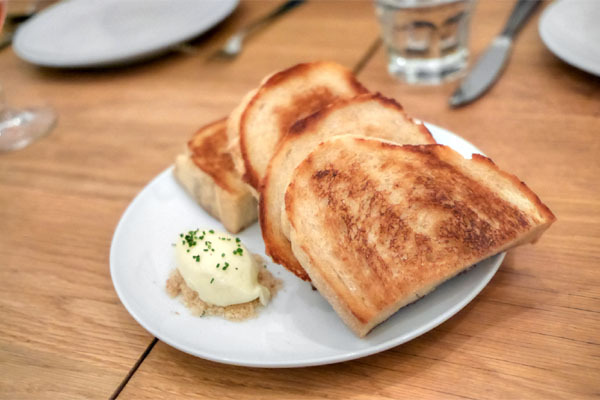 The bread 'n' butter was some of the more satisfying I've had, comprising thick-cut slices of crisp, buttery toast that were even better when slathered with a generous helping of that salty-smooth butter. 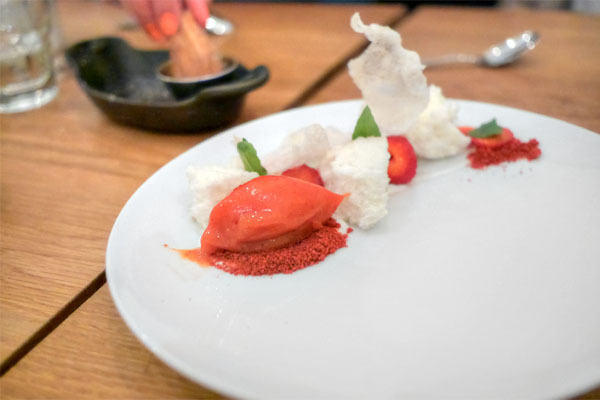 Our first round started with a beautiful dish of crab, one that really highlighted the sweet brine of the crustacean, offset by tart strawberry and herbs while the crème fraîche help tie everything together. Lovely textures and crunch, too. 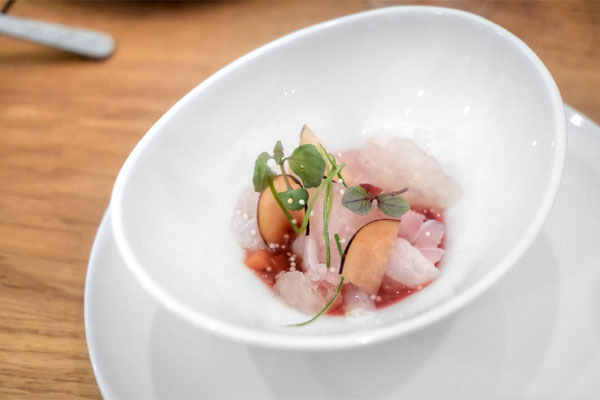 Yellowtail was well presented, an appropriately fishy, fatty preparation that balanced the richness of the hamachi against the sweet, tangy, herby overtones in the dish. Beets, meanwhile, turned out much better than I thought they would. 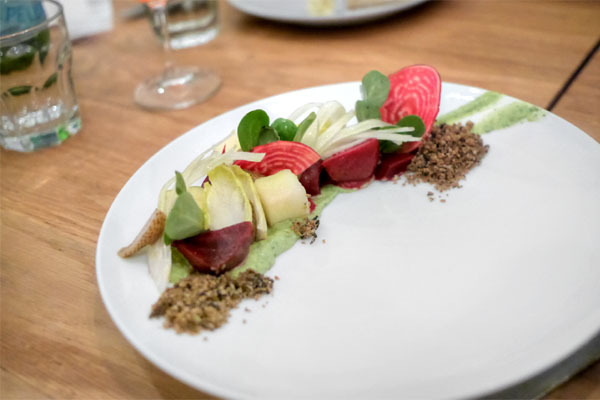 The key was the zippiness of the nasturtium dressing, and how that combined with the nuttiness of the "soil" to really even out the earthy sweetness of the root vegetable. 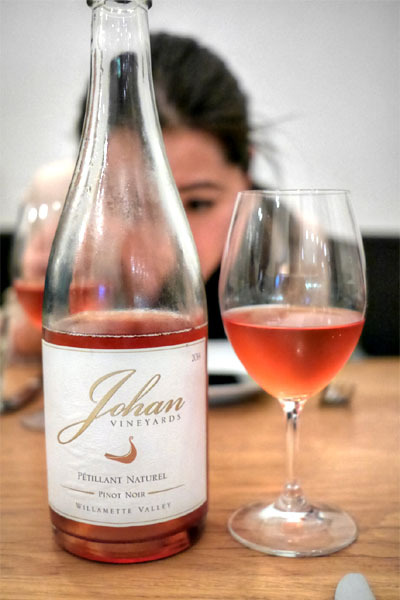 To drink, we opted for a lightweight sparkler to start, the Johan, Pinot Noir, Petillant Naturel 2014 (Willamette Valley, OR) [$48]. Done in the pet-nat style favored by the likes of Night + Market, this was a fun, food-friendly wine, one loaded with tons of juicy red fruit counteracted by tempering notes of acid and minerality. I'm oft disappointed by carpaccios, but Pretty's tonight was one of the best I've had. 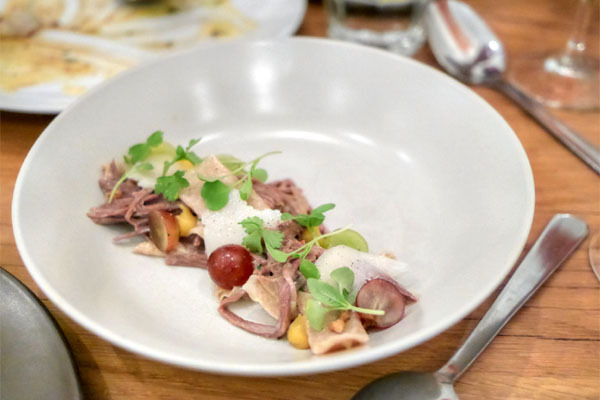 The venison itself came out tender and delicate, but the crux was the complexity, brightness, and heft imparted by all the various accoutrements. I especially appreciated the crunchy, salty kick of the potato chip-like pieces here. Next up was clearly the most celeriac-forward dish I've had, one that truly highlighted the bitterness of the root veggie, a sensation further augmented by the zesty shards of parsley strewn about. The lentils were crucial as well, providing an earthiness that added the necessary bulk to the dish. Octopus was a winner as well, arriving tender to the bite, but with just enough char to it. I was concerned that the BBQ element would be overwhelming here, but it worked out swimmingly, imparting just the right amount of sweetness to the mix. Also appreciated were the juicy cuts of stone fruit, light frisée, and crème fraîche, which helped integrate all the various pieces. In terms of non-alcoholic beverages, the one to get seems to be the real vanilla cream soda [$3]. It was quite unlike any I've had before, a long ways away from the likes of A&W and the sort. 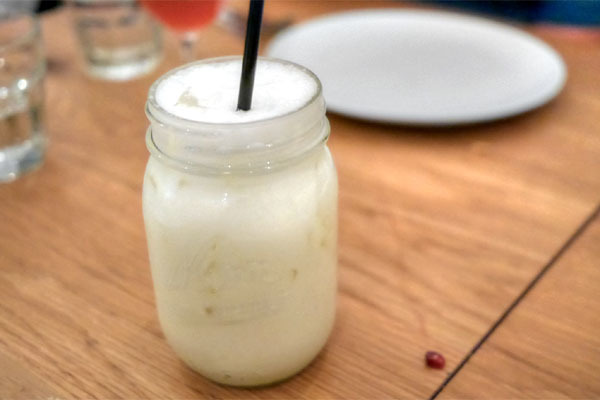 Think super thick, super creamy, and basically almost ice cream-like in nature. The word "decadent" comes to mind. Goat arrived well-prepared, making for a rich, hearty, homey dish that paired well with the pasta. Loved those crunchy bits thrown in, too. Plating-wise, the carrots reminded me of something I might've encountered at Red Medicine, while idea-wise, Trois Mec was what came to mind. 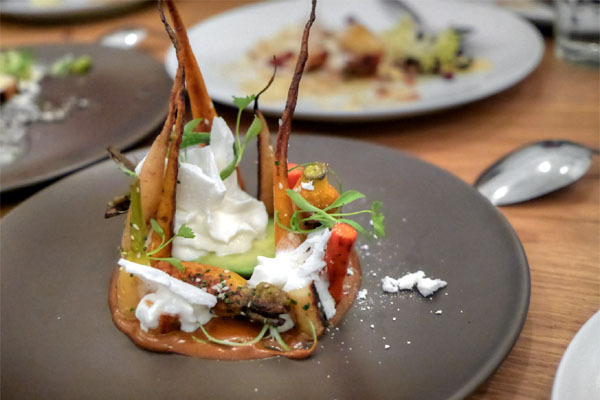 Possible influences aside, it was a successful dish, the dense, sticky carrots veering sweet, yet well-charred, perked up by the lightness of yogurt and meringue while the mole imparted a Mexican-tinged gravitas. 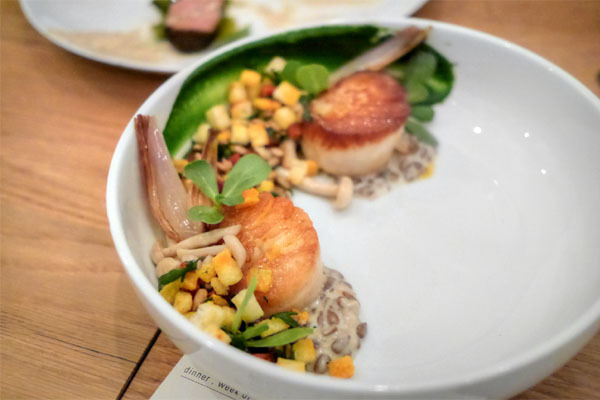 Scallops came out well-caramelized, well-textured, and appropriate briny. I appreciate the onion and mushrooms here, but the sunflower seeds went a bit too bitter for our tastes. Great chorizo spice on the back end though. 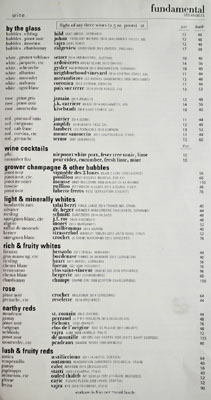 Next to imbibe were Fundamental's two wine cocktails. 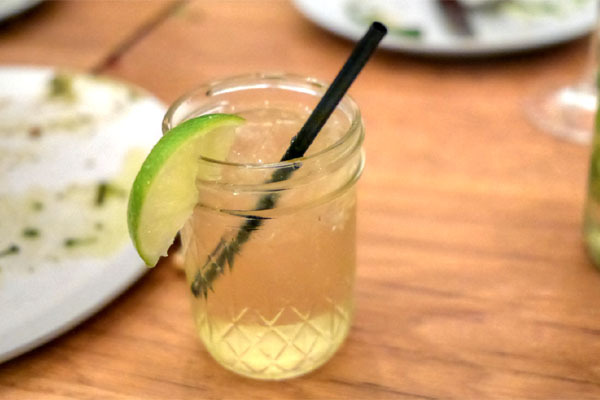 The first was a play on the Gin & Tonic, a reasonable approximation of the classic drink with bright notes of lime and tonic finished with a distinct port-y presence. The short rib was another standout, and definitely one of the stronger preparations of the cut that I've had. The meat itself I found tender, but with just enough of a chew, and an immensely satisfying flavor profile that was further augmented by the escargots. Excellent saltiness and heft from the potatoes as well, and a great leek astringency too to balance it all out. The belly was as fatty and as rich as you'd want, with a fantastic crispiness to it and boatloads of porkiness that really went well with the broccolini. 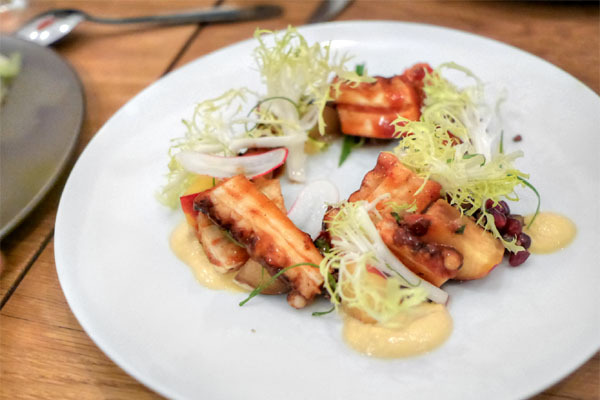 Squid, meanwhile, came soft and springy, with a delicate taste that served as a base to the smoky, spicy elements at play. Very tasty overall, but I just wasn't sure about the linkage between the two proteins here. For our last savory, we had a potato three-way, with potato gnocchi, roasted potato, and potato chips coming together nicely, enriched by that runny egg while the bitter broccoli raab help balance it all out. 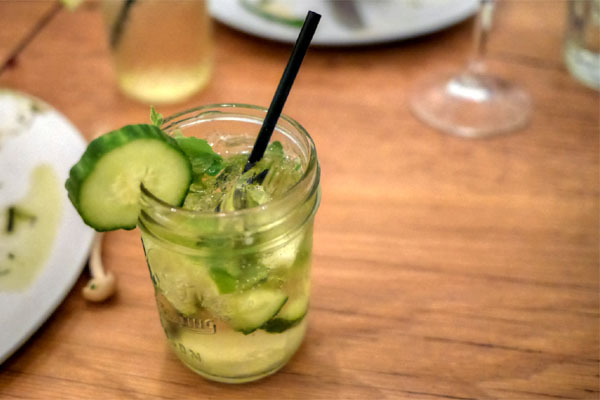 The second cocktail was refreshing, blending a juicy pear sweetness with the coolness of cucumber, the lime and mint making themselves known toward the back end. Time for dessert. A play on the iconic angel food cake was successful. The "cake" portion arrived light, airy, and sponge-y (think "aerated brioche"), with a subtle sweetness that made for a natural pairing with the bright berry notes present. 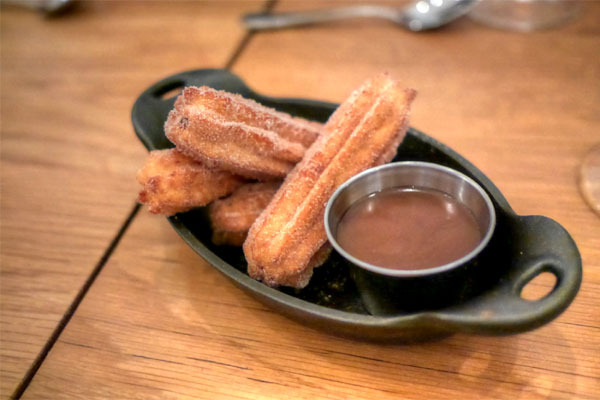 Churros were beautifully spiced, wonderfully creamy on the inside, but a bit softer than I'd prefer on the outside. Still very tasty though, especially when kicked up a notch by the butterscotch. 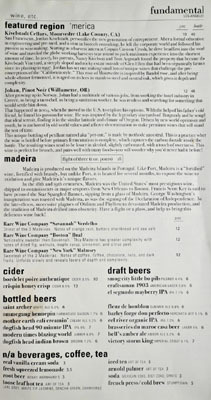 We were then provided a tasting of madeiras, comprising the Rare Wine Company "Savannah" Verdelho, "Boston" Bual, and "New York" Malmsey. 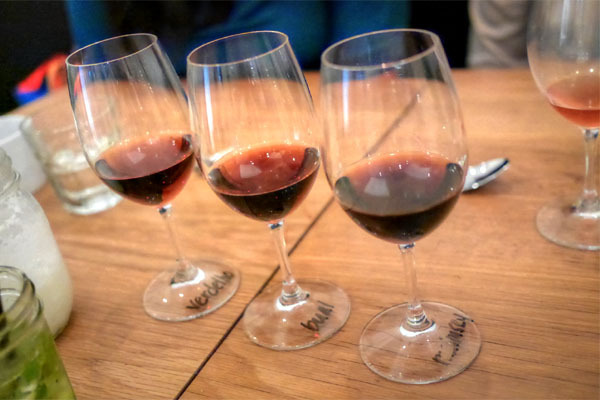 It was great to be able to compare and contrast the three, to be able to see the progression of sweetness and intensity in moving up from Verdelho to Bual to Malmsey. 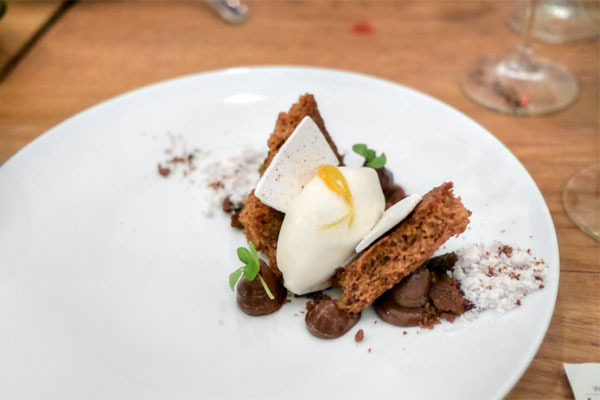 This next cake was a table favorite, and did a great job conveying the aromatics of olive oil, the lactic punch of burrata making for a perfect accompaniment. Lovely tanginess from the yuzu and herbs too, and I was a fan of the textural element provided by the chia seeds as well. We closed confidently: rich notes of chocolate at first, smartly finished with a lingering kick of white pepper; excellent use of the sweet potato as well. 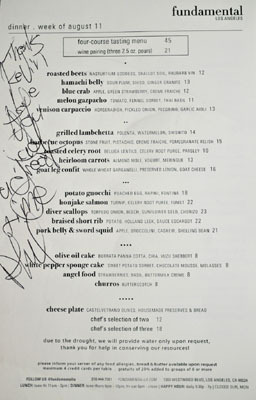 My colleagues and I walked out of Fundamental suitably impressed by what the kitchen was turning out, which incorporated technique, finesse, robust flavors, and artful plating (they're not shy about using negative space) to make for some of the most venturesome cooking I've encountered in recent times. And at $45 a head, we're talking about a good value to boot. 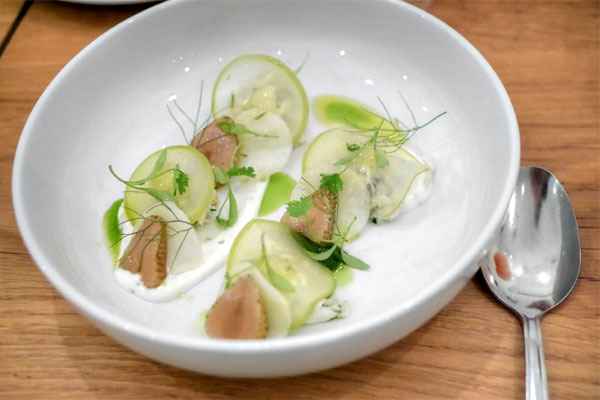 Fundamental has sort of flown under the radar ever since it opened, and perhaps rightfully so at first. But with Pretty at the helm now, the cooking certainly deserves more attention than it's been getting. I thought Fundamental LA was a sandwich shop? What is going on here?? a still Pinot Noiris a sparkler? Would love to see what you think of it. Love Fundamental. Great sandwiches at lunch, and this beauty for dinner. No attitude in sight - a perfect concept, executed, in my opinion. 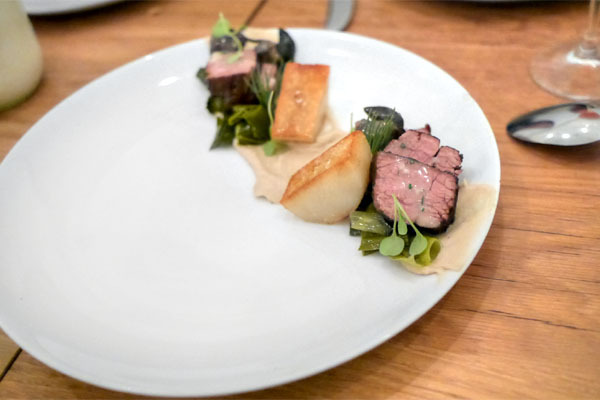 They could have saved some money by only buying 1/2 sized plates since they don't care to use the whole plate for much of anything.